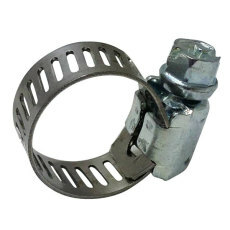 Add Swivel Nut with Barb? You can never have too many disconnects! 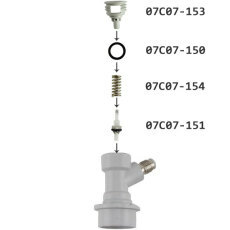 For all your ball lock draft needs, Great Fermentations offers you these gas ball lock disconnects. 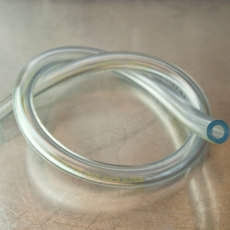 Easy to take apart and clean, these are used with 5/16" ID Bevlex tubing on manifolds and splitters to carbonate multiple kegs at once. 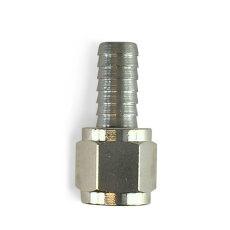 These disconnects have a 1/4" MFL connection, which is perfect for attaching a swivel nut set for myriad applications. They have a plastic end on the male flare fitting so you don't have to use a plastic flare fitting washer when connecting them to metal. 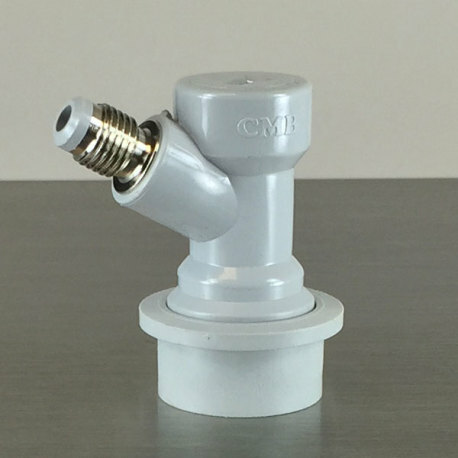 Make sure you have enough on hand for all the kegging and draft projects your mind can come up with!